Bollywood actress Kareena Kapoor Khan showcases a creation by designer Shantanu and Nikhil at the Grand Finale for Lakmé Fashion Week (LFW) Summer Resort 2019, in Mumbai. 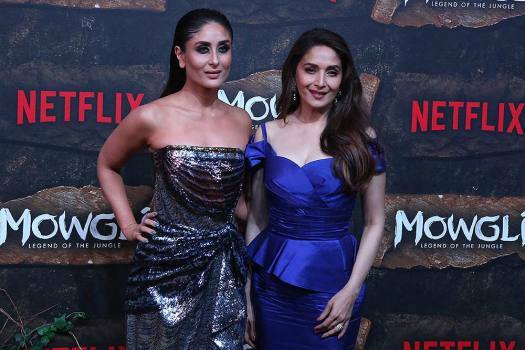 Bollywood actors Kareena Kapoor, left, and Madhuri Dixit pose during a red carpet of Netflix's Mowgli world premier in Mumbai. 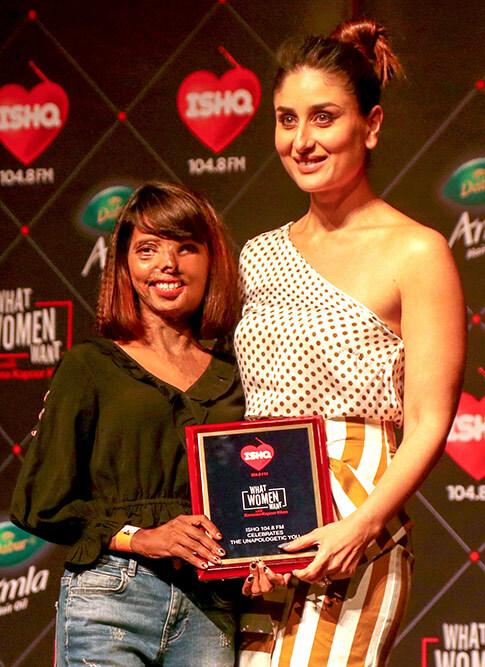 Bollywood actor Kareena Kapoor Khan with acid attack survivor Anmol Rodrigues during the launch of a radio show in Mumbai. 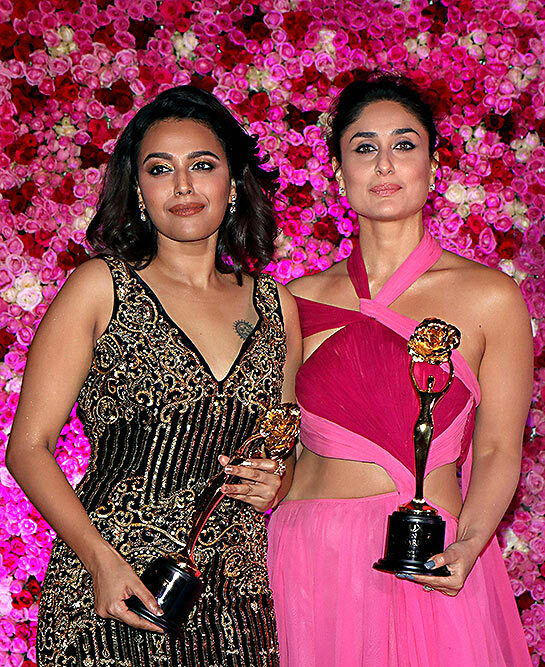 Bollywood actress Swara Bhaskar (L) and Kareena Kapoor Khan attend the Lux Golden Rose Awards ceremony. 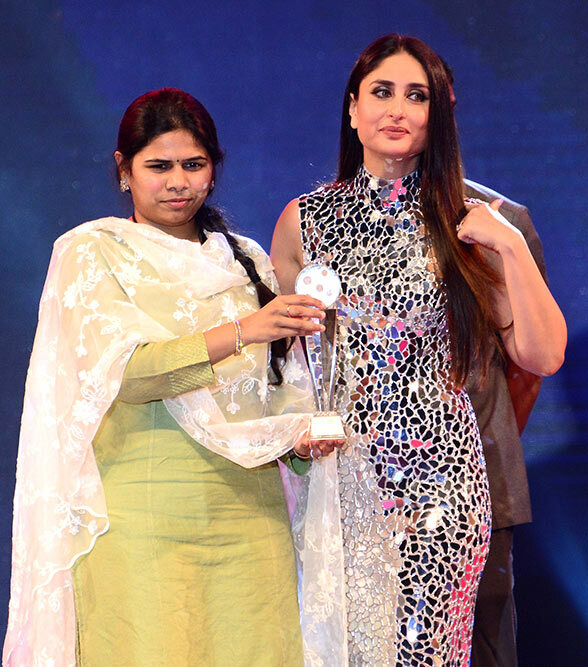 Bollywood actress Kareena Kapoor receives 'Style icon of the year' award from AP tourism minister Bhuma Akhilapriya during Social media summit and awards in Vijayawada. Bollywood actress Kareena Kapoor displays a creation by Monisha Jaising at the grand finale during Lakme Fashion Week in Mumbai. 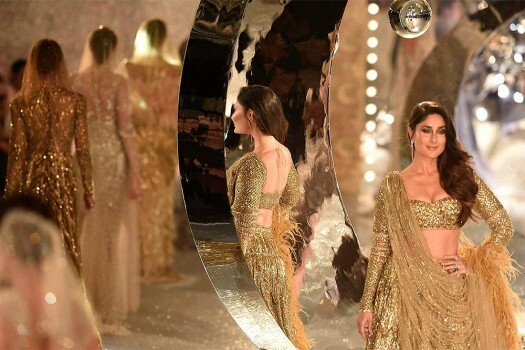 Bollywood actress Kareena Kapoor Khan walks the ramp for designer Falguni Shane Peacock during the India Couture Week in New Delhi. Bollywood actor Kareena Kapoor Khan walks the ramp showcasing a creation of designers Falguni and Shane Peacock on the second day of India Couture Week, in New Delhi. Bollywood actor Kareena Kapoor Khan performs during Miss India 2018 pageant, in Mumbai. 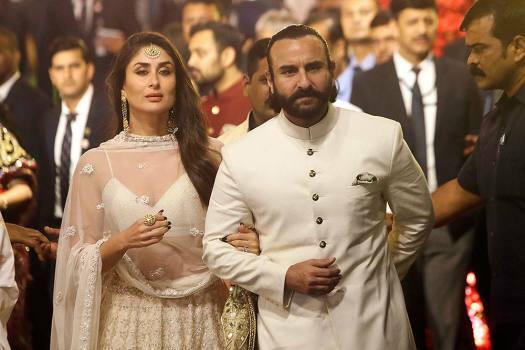 In a letter written to Gandhi on Sunday, corporator Yogendra Singh Chauhan claimed Kareena Kapoor would be the most suitable candidate to defeat the BJP in Bhopal seat, held by the saffron party since long. 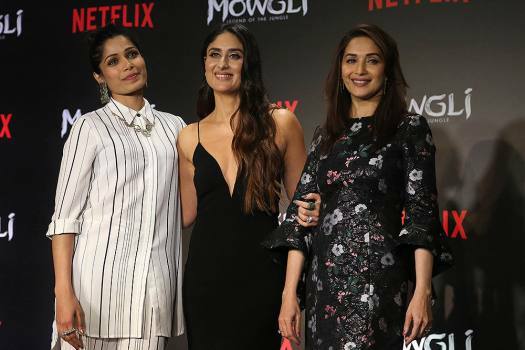 Kareena Kapoor Khan does not want to stop here and says she would like to keep exploring "different things" till she is 70 years old. 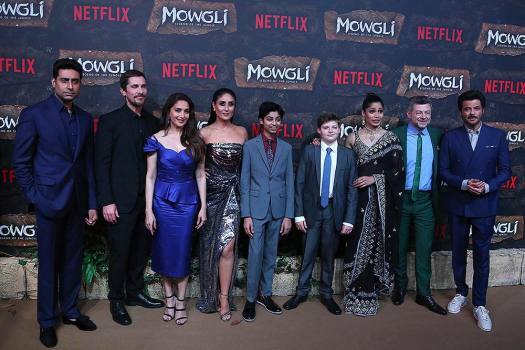 Netflix announced that Kareena Kapoor Khan, Abhishek Bachchan, Madhuri Dixit Nene, Anil Kapoor and Jackie Shroff will lend their voices to characters of Netflix's “Mowgli: Legend of the Jungle”. Sara was asked to choose between her upcoming films 'Kedarnath' and 'Simmba' as her Bollywood debut. She was also asked about Kareena Kapoor Khan! Kareena Kapoor, who has been under the weather for a few days, says she feels nostalgic as her family plans to sell the iconic RK Studio. 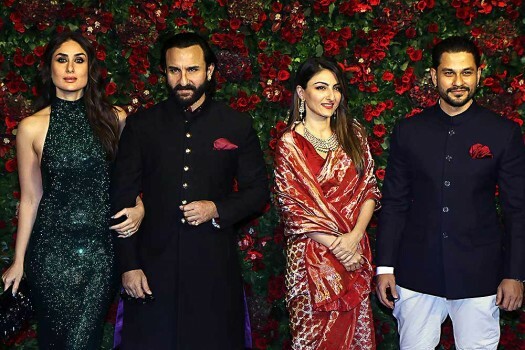 A user criticised Kareena for marrying into a Muslim family and naming her son, Taimur.